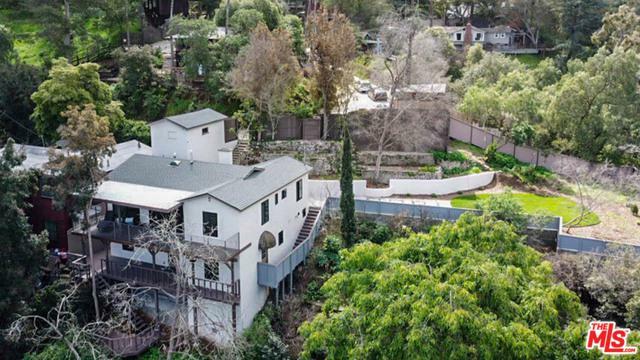 Amazing views from this beautifully redone Echo Park home hidden in the hills. The spacious and open floor plan features an inviting fireplace and magnificent views of Northeast LA from both balconies. The home includes central air and heat, hardwood floors, newer windows and an updated modern kitchen with gorgeous countertops and ample cabinetry. Two bedrooms and two baths round out the main level. The lower level features a 1 bed + 1 bath guest suite and kitchen with its own private entrance and balcony. Expansive decks on both levels provide indoor/outdoor living. Enjoy the park-like grounds with a large flat grassy lawn area perfect for entertaining. Lots of storage space located below the one-car garage. 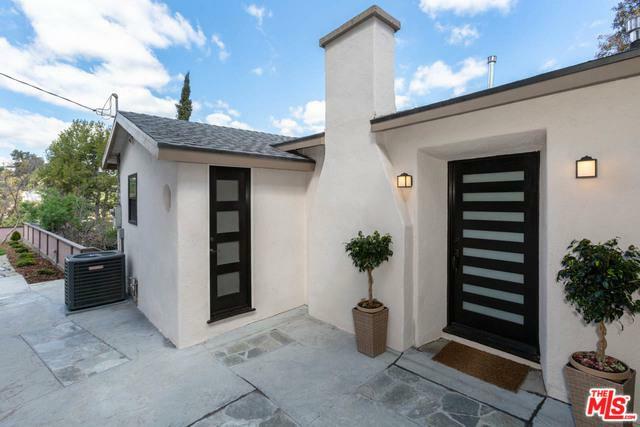 Private and gated, this move-in ready secluded home is close to all. Enjoy the local shops + cafes like Pollen, Valerie, Cookbook LA and nightlife/bars on Sunset Blvd. 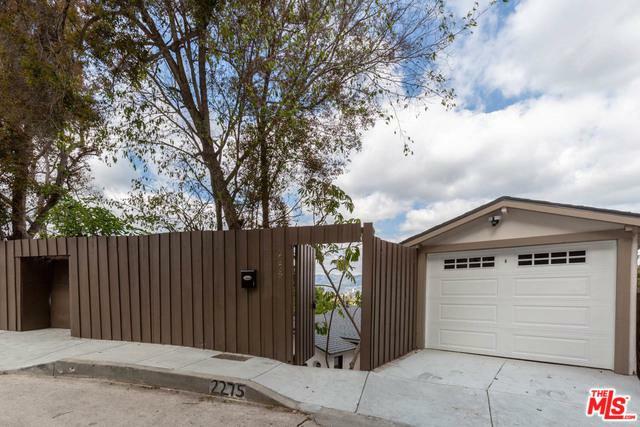 Close to Frogtown/Elysian Park and easy access to DTLA. Listing provided courtesy of Eugene Ridenour of Compass.